A New way to receive Trojan Thursday is here. Due to the difficulties we had over the past two months with sending out Trojan Thursday via email everyone will have to sign up to continue to receive Trojan Thursday. If you would like to receive Trojan Thursday each week please go to https://unitrojanthursday.wordpress.com and type in your email address. You will receive a notice each week when Trojan Thursday is posted. Please spread the word about this new way to receive Trojan Thursday to anyone interested in UNI Athletics. 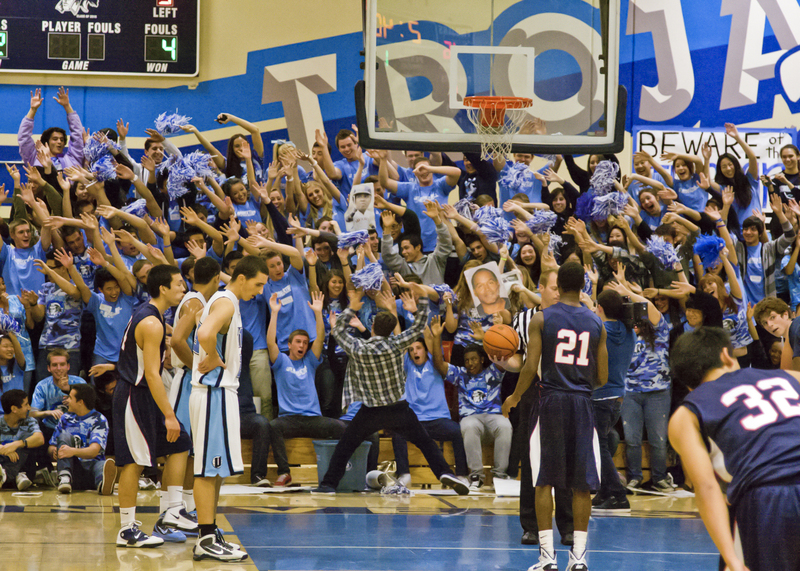 Boys Basketball – Last Friday night the Trojans defeated crosstown rival Irvine 77-64. The boys broke open a close one point game at halftime by outscoring the Vaqueros 37-14 during the third quarter and the opening four minutes of the fourth quarter. Kiron Dey led the way with 22 points and 12 rebounds. Joey Sfreddo added 13 points and had 14 assists. Tyler Cashman also scored 13. The boys would like to thank all the students who came out to watch the game and hope that they will return for tonight’s game vs. Woodbridge! Girls Basketball – The Lady Trojans finished up the first half of League last Friday night to a sell out crowd! The girls basketball team beat Irvine 48-26 with key performances by Christina Liao with 13 points and Kiara Warren also with 13 points. The team finished the first half of league 2-3 with hopes of still making the playoffs. Thanks to everyone who came out to Pack the Gym night. It truly was a special night for our girls. Congrats on the big win girls. Our girls open up the second round of league play tonight at 5:30 v Woodbridge. Boys Soccer – Our boys closed out the first round of league play in style with a 3-0 victory over Irvine last Thursday. Indy Fuller, Riley Duncan, and Matt Bui all scored goals. Indy Fuller pitched in with two assists and Riley Duncan had the other assist. Our defense stifled Irvine all game and the whole game was played on our side of the field. Great job on this dominating win boys. Our boys start the second round of league play this afternoon as they travel to take on Woodbridge at 3:15. Girls Soccer rebounded from the tough loss against Northwood to clinch a league victory against Irvine, 5-3, on January 22nd. Our Lady Trojans controlled the flow and pace of the game with 2 of Irvine’s goals coming from set pieces. Sofya Ogunseitan led the team by scoring twice. Kiana Ghamari and Cameron Lopez each had one goal and one assist. Emma Goolsby scored the 5th goal and Carmel Lee, Leila Sedehi, and Paige Metayer all had one assist each. The offensive talent on the field was evident with both the sheer number of goals and the fact that they came from such a variety of players. The team is back in action today, January 29th, beginning the second round of league play in their Game of the Week, hosting Woodbridge at 5:00 PM. Come out and support! Girls Water Polo – The Lady Trojan Water Polo team lost a tough one to rival Irvine last week 10 – 9. The girls have been trying to change the trends of the past few years with both Irvine and Beckman, only to come up one goal short in each. Coming so close in both games gives our girls confidence for the second round of league play. They know now that their pre-season goals are within the range of possibility. Our girls make their second round playoff push this afternoon as they take on Woodbridge at 4:15. Good Luck Polo! Wrestling – Our boys were taken down by Irvine last night in a match for the league championship. Both team entered at 4-0. Despite the loss the future is extremely bright for UNI wrestling as most of our team is underclassmen. Irvine has dominated the league for the past decade and our boys are showing that we are the up and coming team in the league. Our boys will now focus their attention on league finals where we hope to send several wrestlers to CIF. Come support our girls soccer team as they battle Woodbridge tonight at 5:00 in the stadium. This is girls soccer’s GOW. After the game head directly to the gym for our big basketball game v Woodbridge. Rumor has it that Woodbridge is bringing a lot of students to the game. Let’s show them why we are the best students section in the league by supporting our teams tonight. The athletic department will be hosting our first annual Trojan Athletic Department Soccer Tournament. For more information please click the following link. There will also be food vendors/trucks so we’d like to put the event out to all of our students, athletes and families to come by on that weekend to support our athletic programs. Your support will be welcomed by entering a team, grabbing a bite to eat or both. Our athletic training office is running extremely low on supplies and our athletic training budget is maxed out. Brittany our athletic trainer does an amazing job with all of our athletes but her hands are tied with the limited budget she is given through the district. In an effort to save money we are asking for any donations of the following items. She is in need of crutches, slings, walking boots, and a metal scoop for the ice machine. Also on our wish list are 3 or 5 gallon water buckets, water bottles, and coolers. If you have any of these items around the house and no longer use them please have your student drop them off in her office. If you would like to make a financial donation please drop off a check to the athletic office and note athletic training office in the memo line. Thank you for your help! Meet at stadium – You MUST have an athletic ID card to try out. Please bring running shoes and cleats. Contact coach Andreas Gaynor if you have any questions. Go to Unilacrosse.com for program details. Boys volleyball Tryouts – Boys volleyball will conduct its tryouts over three days. February 4th and 5th – 5:30-7:00 pm in the gym. You MUST have an athletic ID card to try out. The Uni Soccer Boosters are holding a FUNDRAISER in support of the soccer program on Saturday 1/31 which is a “Goodwill-style” fundraiser. We would like to encourage ALL Trojan families to participate by dropping off their unwanted/used items on Saturday. This event will go from 9am-1pm. Thank you for your support! WEAR THE COLORS SHARE YOUR PICTURES. We would like to start something new with Trojan Thursday. Please send Coach McCaffrey (kevinmccaffrey@iusd.org) pictures of yourself in Trojan Army shirts in special places throughout the nation/world. When you travel on vacation snap a picture of yourself or group wearing your Trojan Army shirt and send it to us. Please let us know who is in the picture and where you are. As we get pictures we will share them on Trojan Thursday. This is just another way to spread Trojan Spirit. Thank you for wearing the colors and sharing UNIVERSITY PRIDE! A New way to receive Trojan Thursday is here. If you would like to receive Trojan Thursday each week please go to https://unitrojanthursday.wordpress.com and type in your email address. You will receive a notice each week when Trojan Thursday is posted. Please spread the word about this new way to receive Trojan Thursday to anyone interested in UNI Athletics. Due to the difficulties we had over the past two months with sending out Trojan Thursday via email everyone will have to sign up to continue to receive Trojan Thursday. Pack the Gym Night is our largest athletic night of the year. You will not want to miss this event. This year we have a huge surprise up our sleeve for our introduction of the starting lineups for our teams. We are asking everyone who is attending the game to wear light blue. 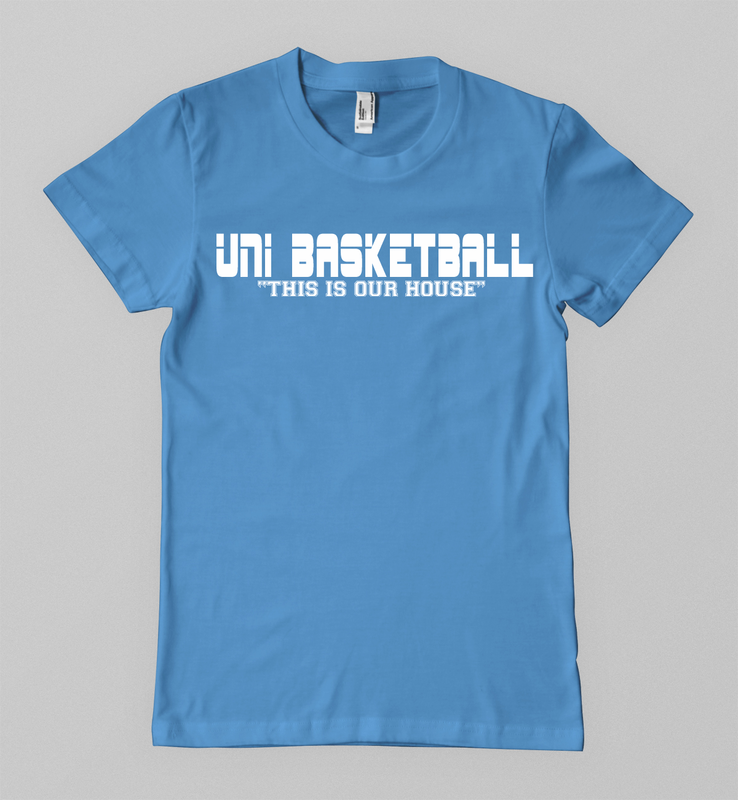 We are asking all parents who are attending to help support the Trojan Army by purchasing a UNI Basketball “This is Our House” T-Shirt. The Trojan Army will be out in force. All of our students will be wearing this shirt or their Trojan Army shirt to the game and we want the parents doing the same. These UNI Basketball shirts can be purchased in the Athletic Office or in the crossroads at lunch tomorrow. Shirts cost $10. If you are an athletic supporter you will truly enjoy this event. I look forward to seeing everyone at the games tomorrow night. Our girls play at 5:30 and the boys are at 7:00. Below is a picture of the UNI Basketball shirt. Last Friday the boys dropped a tough one at CDM 87-82. The Trojans were up for three quarters before falling to the Sea Kings. Joey Sfreddo led all scorers with 26 points. Saturday the boys lost to San Gabriel Academy in the Bell Jeff shootout. On Tuesday the boys returned home and fell to Northwood 85-73. Kiron Dey scored 30 for the Trojans. The boys will try to bounce back and get a win at home on Friday against Irvine. It is pack the Gym night so we hope everyone can come out and attend the game. Last Friday the Lady Trojans traveled to Corona del Mar high and faced quite a challenge. The girls played with great heart but fell to CDM. Tuesday night the girls basketball team hosted Northwood High and came away with a 58-38 win over the Timberwolves. Kiara Warren led all scores with 23 points and 9 rebounds. Allison Piper added 11 points and 8 rebounds and Marina Iranmanesh contributed 6 assists. They will now host Irvine on Friday Night at 530pm, come PACK THE GYM! Boys Soccer – Our boys battled the top two teams in league this past week. Last Thursday we fell to CDM by a final of 2-1 in a very intense game. CDM jumped out to an early lead and then took a 2-0 lead in the second half. Our boys used a late second half push and Indy Fuller scored our goal. We ended up running out of time and could not complete the comeback. On Tuesday our boys ran into a hot Northwood team and lost by a final of 5-1. Indy Fuller scored his 14th goal of the season. This puts him as the #3 goal scorer in the county. This afternoon our boys look to get back in the win column as they travel to Irvine HS. Girls Soccer – Girls Soccer had a rough week, losing matches to Corona Del Mar (2-0) and Northwood (4-0). Although a bit disheartened, the team is ready to turn the season around, beginning with their home match against Irvine today, at 3:15. Come out and cheer your Lady Trojans on, and you can consider it practice for the main event: Girls Soccer Game Of The Week is scheduled for Thursday, 1/20, at 5:00 PM (time change!). Support is always appreciated, so come out in droves and watch the ladies put on a show against Woodbridge to kick off round two of league play! Girls Water Polo – The Lady Trojan Water Polo team played two games this week showing fine improvement in both. Playing against Corona Del Mar the girls scored four goals in a losing effort. Earlier in the season CDM had registered a shutout, so seeing the ball get into the net on four occasions was some consolation. Then on Tuesday University exploded for 16 goals in their match with Northwood. On the defensive end only one Northwood shot was able to get past the goalie tandem of Molly Hudash and Ally Huxman. With an overall record now of 10 – 7 the girls are in the heat of the action for playoff spots in league. Our girls are home this afternoon for a big game against Irvine as they close out the first round of league play. The game will start at 4:15. Good Luck Polo! Wrestling – Congratulations to our wrestlers who beat a depleted Northwood team last night at their GOW. The Final score was 66-9. The foolowing boys all contributed wins last night. Trojan Army Day – Its Trojan Army day tomorrow on campus. To get everyone fired up for Pack The Gym Night we are asking all students to wear their Trojan Army or UNI Basketball shirt to school. Our athletic training office is running extremely low on supplies and our athletic training budget is maxed out. Brittany our athletic trainer does an amazing job with all of our athletes but her hands are tied with the limited budget she is given through the district. In an effort to save money we are asking for any donations of the following items. She is in need of crutches, slings, walking boots, and a metal scoop for the ice machine. Also on our wish list are 3 or 5 gallon water buckets, water bottles, and coolers. If you have any of these items around the house and no longer use them please have your student drop them off in her office or the ahtleteic office. If you would like to make a financial donation please drop off a check to the athletic office and note athletic training office in the memo line. Thank you for your help! WEAR THE COLORS. SHARE YOUR PICTURES. Boys Basketball – Our boys basketball team had two extremely exciting games the past week. Our boys fell to Woodbridge by 3 last Friday night. On Tuesday our game went to overtime where Beckman pulled out the victory. Our boys will be at CDM on Friday night for a 7:00 tip. Good Luck boys. Girls Basketball – The Lady Trojan Basketball team opened League play last week with a loss to Woodbridge. Kiara Warren had 17 points and 9 rebounds. League play continued Tuesday night where the girls fell to Beckman. Kiara Warren led scores again with 13 points and 7 rebounds. Our girls will travel to CDM tomorrow night. Boys Soccer – Last Thursday our boys won their league opener 1-0 vs Woodbridge. Goal by Adam McDermott assisted Tommy Levasseur. Yesterday our boys played to a 2-2 tie at Beckman. Goals by Adam McDermott and Indiana Fuller. Assists Marcos Fernandez and Sam Kelley. Our boys look to stay undefeated in league play this afternoon as they host CDM at 3:15. Good Luck boys. Girls Soccer – Girls Soccer has earned two ties in their first two matches of league play (both score lines were 1-1), which has them in a two way battle for third in league. The girls are confident that they can turn those ties into victories when they play against Woodbridge and Beckman during the second round of league play. Paige Metayer played a role in both of the goals scored by Uni, putting one in the back of the net against Woodbridge (assisted by Leila Sedehi) and setting up Sofya Ogunseitan to score the goal against Beckman. The team played well in both matches and look forward to playing Corona Del Mar this afternoon in what promises to be an exciting game. Good Luck today Girls Soccer! 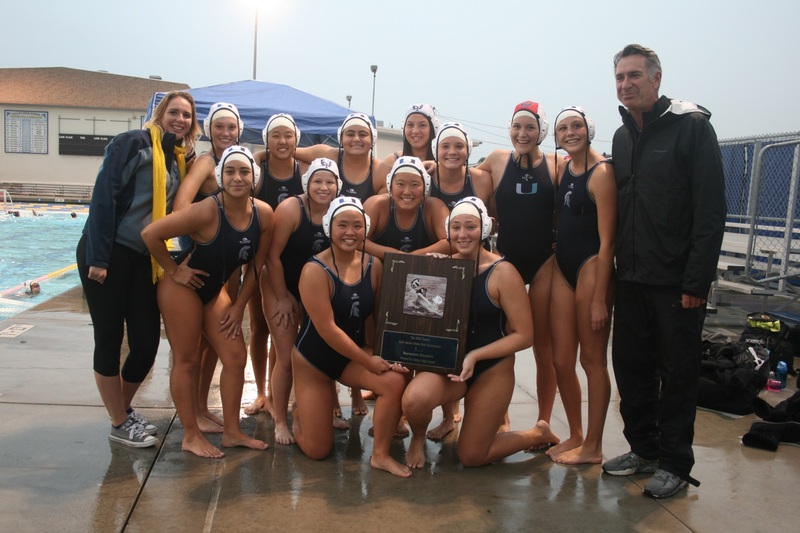 Girls Water Polo – The lady Trojan Water Polo team had a great week. Last Thursday our girls beat rival Woodbridge. Over the weekend the varsity girls won the Falcon Tournament. The girls won all five games including wins over JSerra and Marina in the championship round and Sunny Hills in the quarterfinals. Other victories included Buena Park and Paramount. For each of the girls on the varsity team this was the first high school water polo tournament that any of them had ever won at any level. Congratulations to Kyla Pickell, Maddie Chen, Sophia Bajak and Shawna Kedzie for being selected to the all-tournament team. The team then took their six game win streak against Beckman. Though coming up short 9 -10, the team came away with the confidence that they could avenge this loss the next time the teams will play. Maddie Chen led the scoring with 5 goals followed by Sophia Burkes and Kyla Pickell with 2 goals each. Our girls are at CDM this afternoon at 4:15. Good Luck Polo. Below is an article from the OC Register about our girls winning the tournament. The tears were gone, replaced by smiles, embraces between teammates and cheers for a long-sought first-place finish. University’s girls water polo team reaped the rewards of its resilience and self-reliance Saturday at the Falcon tournament. Just 31/2 weeks after losing their first-year coach to a sudden departure for the college ranks, the Trojans captured their first tournament title in at least a decade by defeating JSerra, 14-9, in the final round-robin championship match at a rainy Santa Ana Valley. University (10-5) scored six goals in the third period to break open a one-goal, halftime lead against JSerra (8-5). The Trojans’ trio of Shawna Kedzie, Kyla Pickell and Maddie Chen each scored on counterattacks in the third as University outscored the Lions, 6-2, in the period. Kedzie, a Woodbridge transfer who became eligible Monday, finished with five goals while Pickell netted four and Chen added three. University soaked up the victory by taking pictures with the championship plaque, a striking contrast to the meeting last month when it learned that Coach Jeff Colton was departing for an assistant coaching position at Arizona State. Pickell and Chen said University’s struggling program had longed for a demanding coach such as Colton, who arrived from Division 1 powerhouse Foothill. But the Trojans have found strength in each other since his departure. They went 5 for 6 on the power-play against JSerra, including two conversions featuring Pickell rising above the defense to slam in cross passes from the left-handed Kedzie. University kept its composure after JSerra took a 2-0 lead on early strikes by Krista Krantz (five goals) and Mariah Meyer (two goals). “(Colton) was kind of the glue and then we became the glue after he left,” Chen said. University and interim coach Dave Johnson also defeated defending champion Marina, 11-6, on Saturday. Congratulations to our wrestlers who moved to a perfect 3-0 in league by defeating CDM last night by a final of 42-30 . Next Wednesday is our Wrestlers GOW. Come out to the gym and help cheer our boys on as they look to defeat Northwood and stay perfect in league. Congratulations to the following boys for winning their matches last night v CDM. Wrestling v Northwood – 6:30 – This is their Game Of the Week – Come out and support our wrestlers! Food Trucks – The DHH program has 2-3 Food Trucks and usually one dessert truck in the UNI parking lot every Thursday from 4:00 – 7:30. If you ever need a dinner idea on Thursday night head over to UNI and get some great food while supporting our DHH program. UNI Logo – We had to make slight changes to our U logo. Below is a picture of our new U logo. It is very similar yet distinctly different and something we can call our own from now on.